After Barcelona’s fall in the siege of 1714, 1,262 homes in La Ribera were demolished at the expense of their owners to build the Ciutadella. Many of the newly homeless families built makeshift shelters on a sandy spit, where a handful of fishermen had lived since the Renaissance. And there they and their descendants stayed, until 1753, when an enlightened French military engineer memorably named Prosper van Verboom designed a neighbourhood called Barceloneta on a 25-acre triangle of land. Verboom laid out a tight grid, lined with narrow blocks of houses, so every single room would have a window. Each house could have only one upper floor, so all would have access to sunlight and air. In the centre he built a market. Verboom’s height prohibition lasted until 1837 and has been ignored ever since, turning the streets into mini-canyons, offering a fair idea of what a mouse might feel like in a maze. 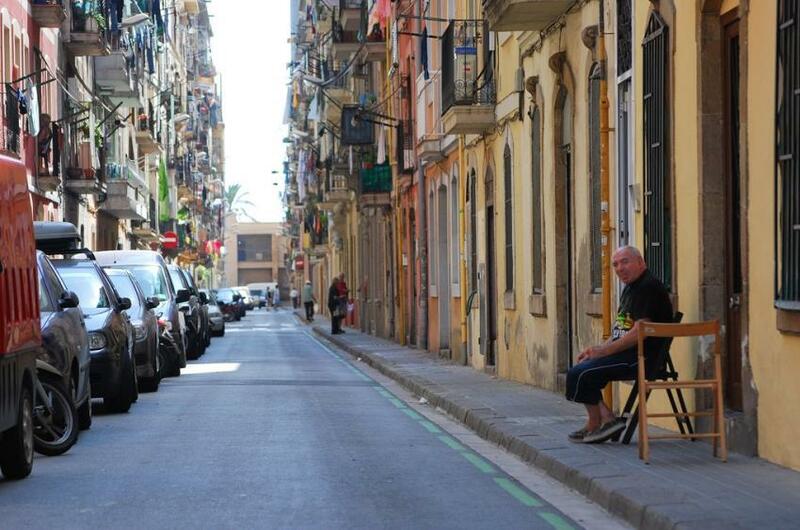 Traditionally inhabited by families of sailors, longshoremen and fishermen, Barceloneta is still vibrant and densely populated, filled with seafood restaurants and beach lovers on sunny days. One of its chief landmarks is the rickety looking tower of the Port Cable Car; for the rest, see the Barceloneta Walk. If you’re around in late September, don’t miss Barceloneta’s exuberant festa starring a bizarre cartoonish general called Bum Bum (a take-off of Prosper Verboom) who leads the neighbourhood kids around firing off cannon; in the evenings everyone ends up on the beach, or out in boats, for dancing and fireworks.